When we celebrated our two year blogiversary, I had mentioned that the average blog has a 33.8 month life span. As such, the real milestone – the real achievement – would be beating that statistic and making it to the 3 year mark. Well Dear Reader, we did it! 153 published posts later… we did it! We tend to be “in the now” people with a touch of “what is next” tossed into the mix, but as one does when an anniversary comes around, we want to take a moment to reflect on what has passed. Because to say we are the same now as we were before the blog would be a lie. How much we enjoy the Montecristo Travels Community! Even if on the internet you never know who you are talking to; we feel very strongly that we might well have some of the nicest, most creative and generous Readers on the web. You never give us a hard time if things are a day late. If there is an error (spelling or otherwise) you kindly send a little heads up privately via email so we can fix it without embarrassment. When a post has inspired you, you say so! And when you think we are insane you don’t hold back either. We love you for it. This blog is a re-telling of thoughts and journeys. It’s almost a diary, only it isn’t… because we have an audience. And when someone says: “thanks to you we did this or that” it makes our day; it’s proof that this blog is a useful resource. And that has been our goal all along. To inspire and help you travel with your small dog. So thank you! All of you… for still being here and participating. Thank you for the support and for taking the time to comment or share. We are incredibly grateful. Some of the crazy things we do in the name of blogging! Blogging often consumes our lives and it is difficult not to fall prey to the siren call of stats. Keeping this blog takes a lot of time, and there is always one more thing to do; putting the finishing touches on a post, choosing the right photos to illustrate, answering blog comments or emails, networking, and updating social media accounts… and let us not forget the actual planning and travel. 1) Plan a weekend/trip around the blog. Is there material for posts? 2) We have done some insane things to get a shot! 3) We have stayed with people we only knew online. Thankfully, no axe murderers so far. I will stop now, before you all organize an intervention… plus I want to talk to you about the dark underbelly of blogging too. It’s not all puppies and cotton candy. There have been some rough patches as well. The first hard lesson: If you don’t come from a big deal site, with famous names you can toss about; people don’t necessarily treat you with respect. Is that fair? No. Does someone with a much larger fan base write better or have better material? Sometimes they do… and sometimes (shockingly) no. Even if they have a lot less experience; just one viral blog post or video and all of a sudden they are the “go to” resource. We have learned to shrug our shoulders and live with it. Second hard lesson: Full time writers can be condescending to those of us that do this part-time. They love to throw in our face their “real” writer status, their printed articles and more. So we remember that we do this for ourselves, because lesson of hard knocks number three: You will likely never get the number of followers, readers, likes, comments, shares and tweets you know in your heart you deserve. The fourth lesson and arguably the most difficult: People can be fickle. Your fans can and do, suddenly disappear from your blog. No software will tell you why. You have to care enough and reach out and ask… and in doing so you open yourself up to things that sting the ego. Plus, folks will steal your idea(s), photos, and plagiarize. You have to have a thick skin and know when criticism (or a fight) is warranted or when a person is just going through a bad time and taking it out on you. Lesson number five: We wish we made money off this blog so we could pay a handful of trusted people to keep contributing their talent. But we can’t and it’s not fair to get upset when an assistant has to bow out to make time for their own projects. Because we like to think we are good friends, we even encourage them! This year we lost both of our editors and our illustrator. To use a childish phrase: That sucked. In a nutshell, it isn’t all fun and games and we now understand the 33.8 month life expectancy for a blog a lot better. Because when all you get after a post are cyber crickets, and you see readership dwindle on occasion, it’s easy to want to give up. But we. will. not. give. up. Why we keep doing this! If it can be so difficult, why keep going, one post at a time, week after week? 1) A record of our growth as travelers. We are rarely able to pin point exactly how we felt about a place or activity, until we have had to sit down and synthesize the experience into words. The blog forces us take the time to delve a little deeper and… do more research. The blog also keeps our timeline straight. 2) We can share what we learned. For us this blog on traveling with a canine, has always been about helping others do so as well… with fewer obstacles. Since we aren’t famous, not on TV, or even found in print; the only platform we have is social media. Here is where we have visibility. This blog is our “helping hand” forum. 3) An opportunity builder. About half the people we interact with today, we met via social media, related in some way to this blog. These friendships are priceless. The blog has also allowed us to be featured in online magazines, become regular guests on Pet Lady Radio, participate in fashion shows, and raise money for charity. We have also traveled to new places and stayed with fans who kindly opened up their home to us. Priceless. 4) Our friends are now friends. We allow comments on our blog, and as such we have – in essence – created a “with dog travel” pack. Readers don’t just respond to our posts, they respond to each other. We love that! On Facebook we have seen friendships develop that we know occurred through us as intemediaries. It’s a wonderful thing to witness. 5) Subject matter experts? Once upon a time you needed a degree to be considered an expert, and we don’t want to say that this isn’t the way to go, but the blog has proved that there is also value in the “doing”. We prove we know because we did. It’s powerfully simple. So there you have it Dear Reader, our thoughts on this, the 3rd blogiversary of montecristotravels.com. Yes, we are still learning as we go, and not every post is perfect and we have so many things we still want to try, places to see and dog travel challenges to overcome (Looking at you AUSTRALASIA!). But the important thing is that we started. And then … we kept going … and going … and going! None of this would matter though — and we wouldn’t have learned what we have — without you. So, Thank YOU! Top 10 Etiquette Rules for Being a Gracious Canine Cottage Guest! WOW! The Blog Turns Four! How did that happen? 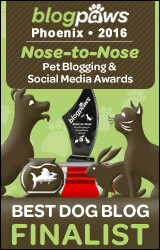 Two years of Pet Travel Blogging! HAPPY BIRTHDAY… three years… in a way, seems crazy fast… but then, seeing HOW MUCH there is on this blog… one realizes: this has become a mature blog. AMAZING! Thank you CosmoChick!! It’s certainly been a journey!! Thanks for tagging along! Like you said, it is more or less easy to start a blog, but to continue a blog is far more difficult than expected. You have always find a way to convince your public to return. But it is a great thing that your blog is also interesting for not dog-owners. Because it is written in a fluent and clear English. And you provide us with information at first hand, stuff you don’t usually find easy on internet. And you don’t expect that this blog is written by a little dog! Up to the next 3 years at minimum!! Thank you so much for this comment Hebert. I love that you mention that the blog is also good reading for those without a dog. It IS a travel blog first! With dog is just our way of doing it. Thank you for your comments, for the time you take to read us and for your support. Without people like you – we would not exist at all. So THANK YOU! Written by a dog — yes — well people always underestimate! Indeed here is to 3 more years at LEAST! Thank you Joan!! next we will be doing public speaking gigs! 2014 will be an amazing year! Thanks for joining us on our journey and for your non-stop positive support. We love you for it! Congratulations on your 3rd anniversary!!!! Thank you for your effort to write and show us the world! Thank you for your advice so that we can travel with you and dream! Thanks to all who help you in this wonderful initiative – learning and fun! We love you, hug and KISS you! Thank YOU!! for being such wonderful friends and fans! YOU are examples of WHY WE DO THIS! so it is us that THANK YOU! Congratulations with the 3-d Blogiversary, all this time your fans enjoyed it and participated in their own way following all your travels! As for me, i am quite an addict to it now, :). Just cannot imagine opening FB and not seeing your posts, Please continue, we need it, <3, <3, <3!!! Happy 3rd Blogiversary!!! I can’t believe how the time has flown – but then times does fly when you’re having fun!!! Congratulations Monte and bipeds on your commitment and tenacity to provide your readers with a valuable, thrilling and informative Blog written with literary skills of excellence. Happy Blogaversary !!!!! Hope you continue to explore new things and post about it !!! THAT is the PLAN!! and watch it get more complex! We really love you being here… thank you! AT LEAST!! thanks Dan, Christine and Gibson for your support!! Hopefully we will have an adventure with all of us someday soon! Happy happy happy blogiversary!!! I love your writing style. It’s funny, witty, and interesting. Keep it up! Funny, witty and interesting…. woa. Now we are blushing. THANK YOU!!! We hope to keep you coming back for more! CONGRATS! We love you. Keep going! We’re reading. Thank you for reading Gigi!! we LOVE you guys!! Keep “with dog” traveling! Speaking of ax murderers, if a year ago, you would have told me that I would have invited myself to Ottawa to visit (stay with) a 3.5 pound canine travel blogger and his bipeds who I met on-line and that they would have said “sure”, I would have seriously thought you were insane, but that actually happened!!! You have created a lovely community of caring and supportive people and “yes”, some of Monte’s friends are now people I care about too. I look forward to continuing to read about your adventures and I hope we’ll have the chance to welcome you in Philadelphia and at the New Jersey shore or maybe even in Hawaii if you can escape during February, March or April. By all means—Write on!!!! All those destinations sound good!! Hawaii … hmmmm… let me see what I can find out. I know they have quarantine but there IS a way ‘around” it I think. Booking a vet to meet you at landing or something. But for sure we will soon be seeing you in Philadelphia and New Jersey shore!! And the Mr. and Mrs. Excitement (+Dino) are welcome at our home anytime. Perhaps next October you will come for the fall colours! Look at that!! Same day quarantine release for pets for Hawaii – now we are talking!